The cause of changes in atmospheric carbon dioxide (CO_2) during the recent ice ages is yet to be fully explained. Most mechanisms for glacial–interglacial CO_2 change have centred on carbon exchange with the deep ocean, owing to its large size and relatively rapid exchange with the atmosphere. The Southern Ocean is thought to have a key role in this exchange, as much of the deep ocean is ventilated to the atmosphere in this region. 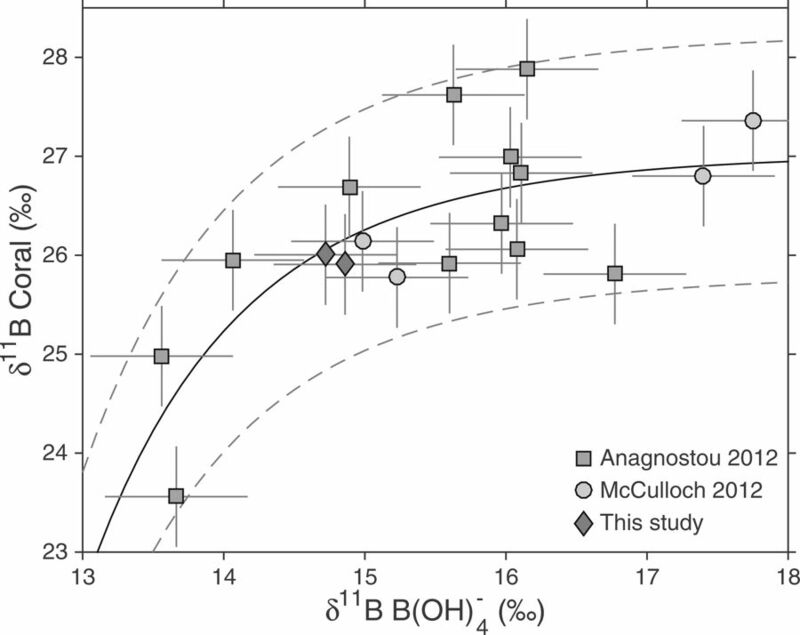 However, it is difficult to reconstruct changes in deep Southern Ocean carbon storage, so few direct tests of this hypothesis have been carried out. 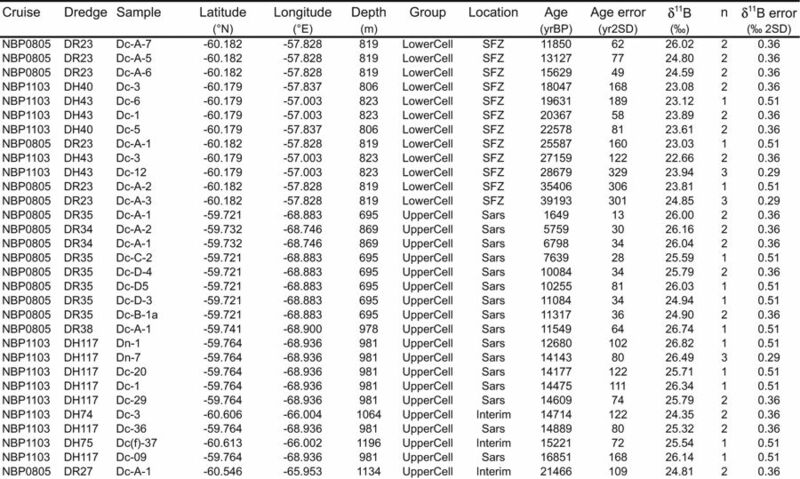 Here we present deep-sea coral boron isotope data that track the pH—and thus the CO_2 chemistry—of the deep Southern Ocean over the past forty thousand years. 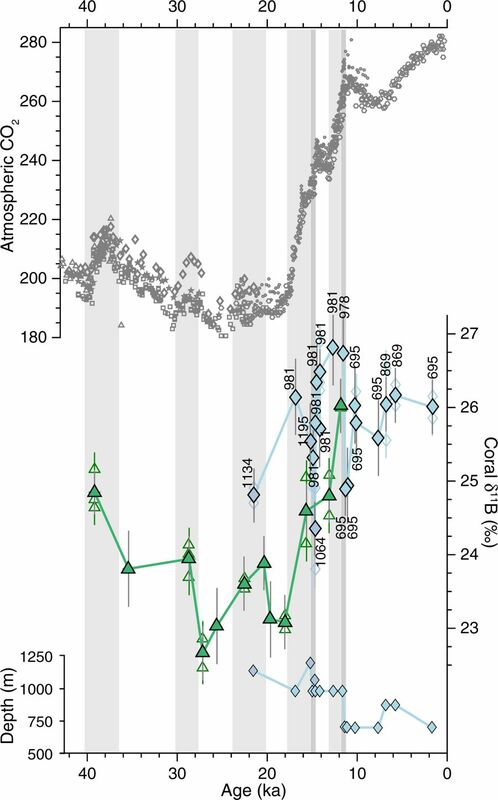 At sites closest to the Antarctic continental margin, and most influenced by the deep southern waters that form the ocean’s lower overturning cell, we find a close relationship between ocean pH and atmospheric CO_2: during intervals of low CO_2, ocean pH is low, reflecting enhanced ocean carbon storage; and during intervals of rising CO_2, ocean pH rises, reflecting loss of carbon from the ocean to the atmosphere. 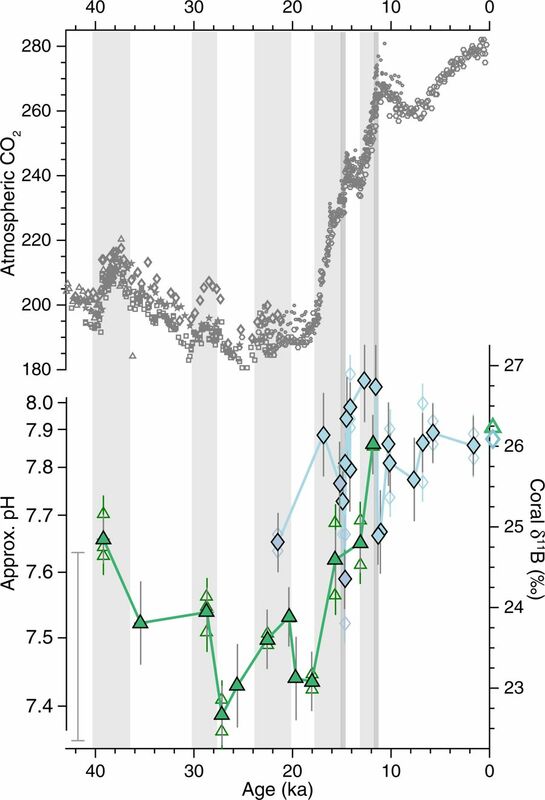 Correspondingly, at shallower sites we find rapid (millennial- to centennial-scale) decreases in pH during abrupt increases in CO_2, reflecting the rapid transfer of carbon from the deep ocean to the upper ocean and atmosphere. 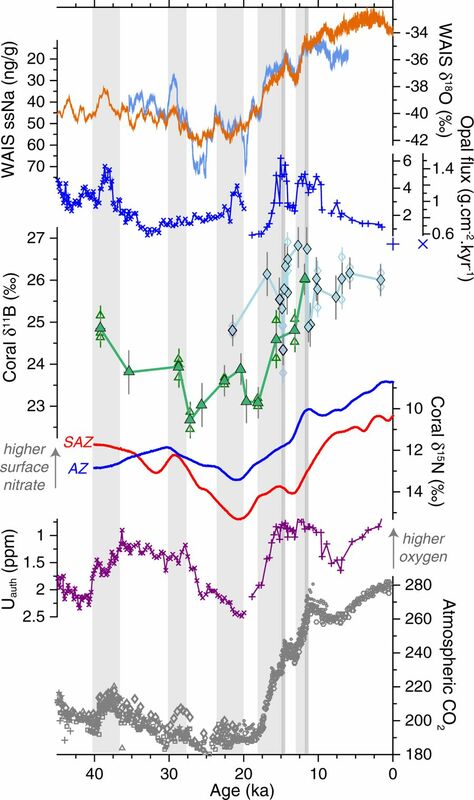 Our findings confirm the importance of the deep Southern Ocean in ice-age CO_2 change, and show that deep-ocean CO_2 release can occur as a dynamic feedback to rapid climate change on centennial timescales. © 2018 Springer Nature Limited. Received 06 March 2018; Accepted 29 August 2018; Published 24 October 2018. 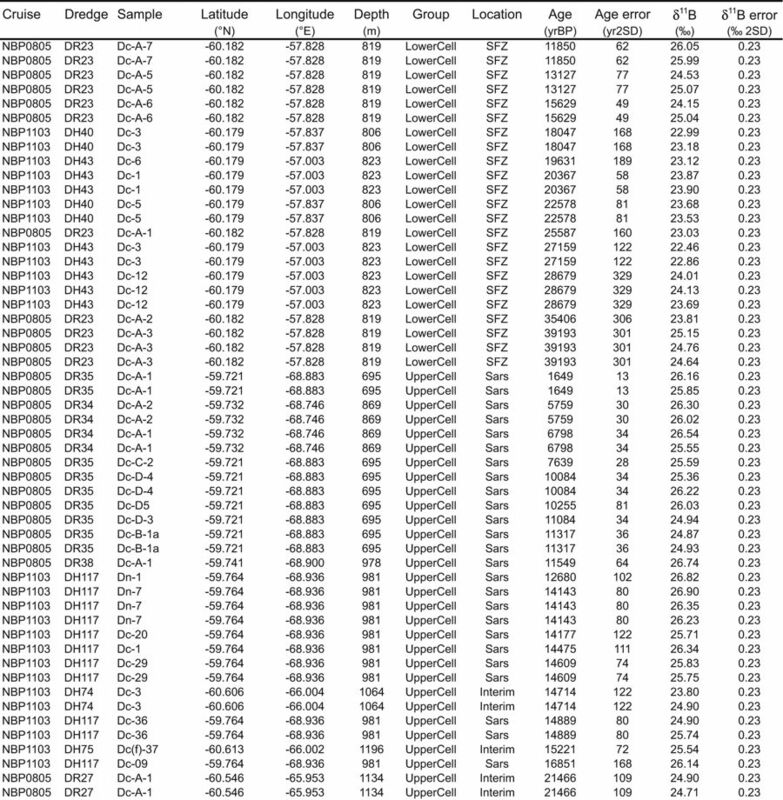 Data availability: The data produced in this study are available in Extended Data Tables and will also be made available at the NOAA (https://www.ncdc.noaa.gov/paleo/study/25230) and Pangaea data repositories. This work was supported by NERC Standard Grant NE/N003861/1 to J.W.B.R. and L.F.R., an NOAA Climate and Global Change VSP Fellowship to J.W.B.R, NERC Standard Grant NE/M004619/1 to A.B. and J.W.B.R., a NERC Strategic Environmental Science Capital Grant to A.B. and J.W.B.R., Marie Curie Career Integration Grant CIG14-631752 to A.B., an ERC consolidator grant to L.F.R., NSF grant OCE-1503129 to J.F.A., and NERC studentships to B.T. 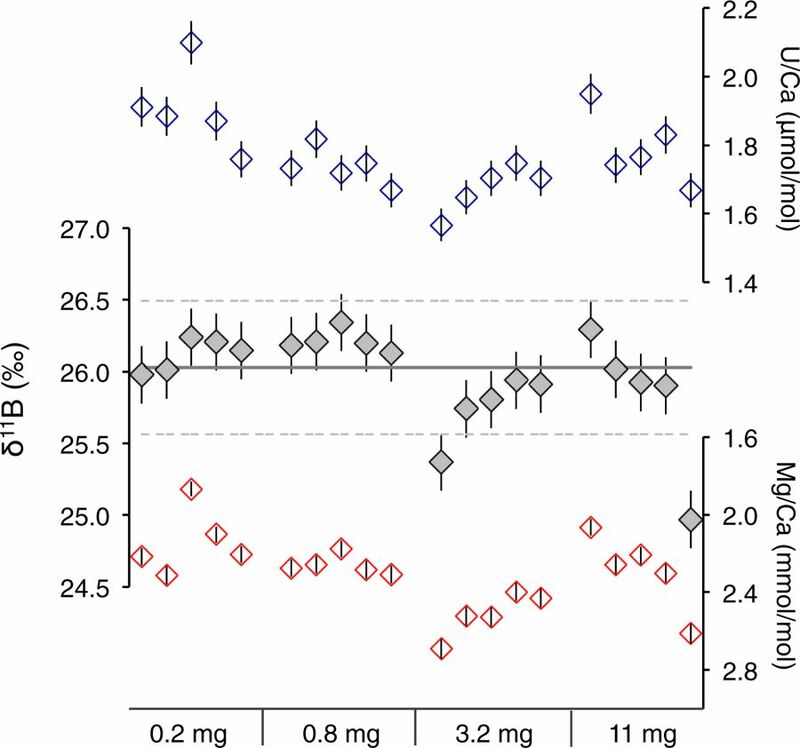 and E.L. Reviewer information: Nature thanks C. Buizert and the other anonymous reviewer(s) for their contribution to the peer review of this work.